So i'm finally 21, yeyy! For those of you who don't follow me on Twitter I turned 21 on Wednesday and celebrated by going shopping and staying over in Manchester with my boyfriend. The majority of this makeup was bought by my hugely generous boyfriend whilst we were in Manchester and my lovely sister also bought me some bits too. My mum and dad also bought me a new laptop which i'm currently blogging from, my old one was on its lasts legs so i'm hugely grateful for a new one. 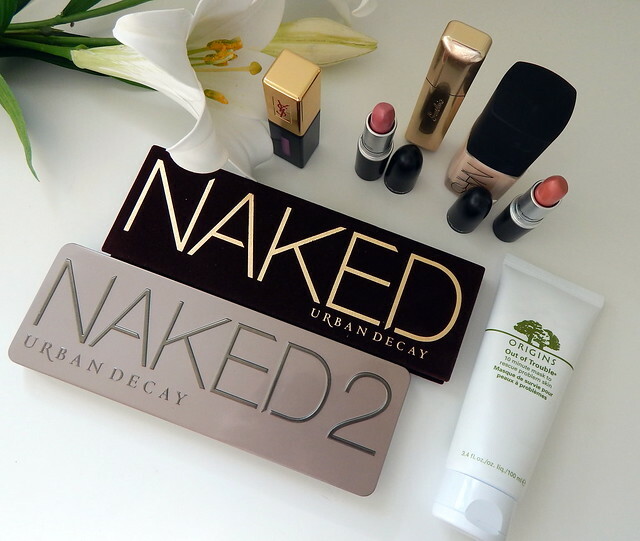 Firstly, my sister bought me the Urban Decay Naked 2 Palette and Mac Shy Girl lipstick. These were complete surprises but the sneaky sausage had been reading my blog so knew exactly what I wanted. 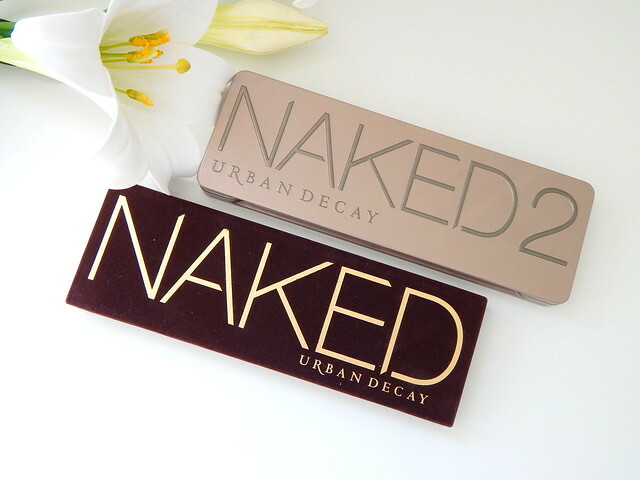 The Naked 2 Palette is just as beautiful as the other and i'm so glad I have the full collection now. Shy Girl is a beautiful nudey coral which is a shade I've wanted for ages, I even said it was going to be my next purchase in my Mac Lipstick Collection Post. Moving on to the bits from my boyfriend... I asked him for the Naked Palette and was lucky enough to receive this wrapped up on my birthday. I love all the shades in this palette, they are all so wearable and I know i'm going to get a lot of use out of it. Next up is another Mac lipstick, this time in Angel which is an every day nudey pink, again it's a shade i'll be able to wear all the time. I've been lusting after Nars Sheer Glow for some time but the nearest counter from me is Leeds so my loveliest boyfriend took this opportunity to buy it for me. I've only worn it a couple of times but I love it already, my boyfriend can also see a difference which proves how good it is! Sticking with the lipstick theme, I also lucky enough to receive a YSL Glossy Stain in the shade Violine Out Of Control. 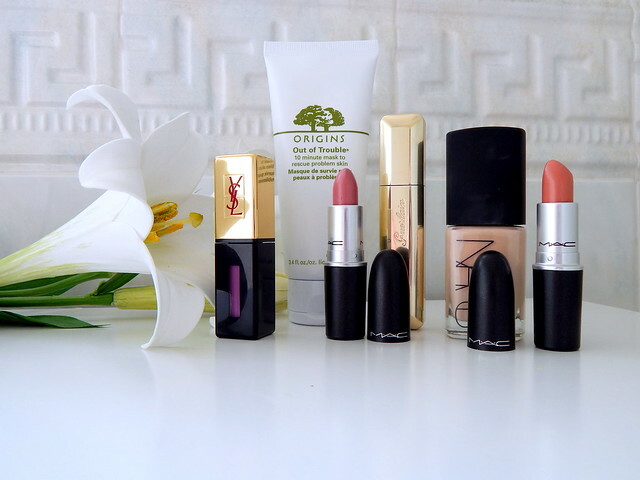 Because of the £25 price tag, I wanted something completely different to the lipsticks I currently own so Curtis choose this lovely lilac shade which really compliments my skin tone. Finally, I knew I wanted this ever since Charlotte recommended it to me when I first ever started talking to her. I saw the Guerlain Maxi Lash mascara, tried it in Selfridges and fell in love with it. It gives the perfect mixture of length and volume without ever looking clumping, i'd totally recommend it to anyone! Finally I bought myself a little treat using my Boots points and picked up the Origins Out of Trouble 10 Minute Mask. I've heard so may good things about Origins yet never tried anything myself so I thought this would be the perfect opportunity. At £22 it is expensive for a face mask but my skin has been terrible lately so I thought why not try it. I haven't used this yet but i'll definitely be reviewing it soon. Happy belated birthday! You got some lovely gifts!